Along with the movies and videos I just posted about, a number of books on ancient Egypt have also landed on my radar, one of which I’m not sure I’ll live long enough to finish … What I wouldn’t give to have a year to just read. Graham picks up the themes he introduced in Fingerprints of the Gods - a lost civilization brought advanced technology to various continents after a global cataclysm destroyed their island home - and introduces all the new geological, archeological and astrological evidence that's continued to emerge over the last two decades in support of this view. Based on a few recent videos from Graham, it sounds like new evidence from several monolithic sites continues to surface so I'm not sure how up-to-date even this recent book might be. Regardless, I found it a good introduction to Graham's theories about the emergence of ancient cultures. An amusing note - this book, along with Graham's many YouTube lectures on this topic, also exposes the slow but inexorable acceptance by 'the establishment' of the startling ideas Hancock and others first saw rejected 20+ years ago. It was the content related to the 'thinking of sages' that caught my interest. I'm sure it's in there somewhere but, for reasons I note in the previous post, I haven't actually finished this book. Or actually started it. I did read the Introduction, though, and found that all the warnings and tips from those who'd recommended and warned about picking up Schwaller were quite true - it is An Undertaking. It might have to do with reading an English translation of a French author who thought in German. And it most certainly has to do with Schwaller's writing style: this must be about the densest text ever written, certainly the densest I've ever read (now you've been warned). Practically every sentence requires consideration and every paragraph a deep ponder, no doubt the result of the enormous amount of information the authors were attempting to record and communicate. And yet it was a joy, in a way, to discover hundreds of pages of detailed explanations of the ancient Egyptian wisdom traditions. But tempted as I was to continue my journey into its pages, I ultimately postponed further reading of The Temple of Man until I had a better understanding of the changes to my consciousness that had driven me to the book in the first place. In light of the fascinating discoveries that continue to emerge about this ancient culture, I'm very much looking forward returning to this massive work, along with his smaller supplementary texts. Wanting to introduce the Egyptology community to the controversial ideas he'd developed from his studies of the temple at Luxor, Schwaller published this short book of essays even before he completed his research in 1951. In this book, Schwaller lays out his discoveries that the temple was constructed to represent and teach the physical and spiritual functions of the human body. In eight illustrated chapters, Schwaller summarizes key concepts related to numbers and symbols before reviewing some of the evidence from the covered temple, the 'head' portion of the temple. What I especially enjoyed about this book and some of the videos from the previous post are the random explanations the authors include about some of the common hieroglyphs. No more do I just look at these images and wonder what they all mean but now I can see the meaning behind a (very) few of the familiar symbols, statues and structures - which just makes me more curious about the rest! If you're looking for an introduction to Schwaller's pivotal work, Temple of Man, and don't want to invest in 10 lbs (literally) of coffee table books, these essays are excellent sampling of his larger work. Sacred Science is Schwaller's examination of the apparently unique form of governance practiced by the ancient Egyptians, a people who enjoyed a largely peaceful and prosperous civilization for over 3000 years. Instead of a government based strictly on lineage, democratic ideals or religious doctrine, Schwaller contends the culture is structured around a science that's developed by spiritual practices - a sacred science. As of this writing, I haven't yet finished the book. I will note that, anxious as I was to get to the 'good stuff' about Egyptian symbols, I was initially disappointed to find Schwaller starts with a look back to some of the key myths and symbols of human history. But it was a helpful grounding and I continued to appreciate the tidbits of esoteric knowledge about familiar Egyptian symbols scattered throughout. As I was reading, I realized I especially enjoy listening to West, Hancock, and Schwaller because of the candidness of their writing. Much of what I've previously encountered about Egypt seemed more intent on maintaining mystery, whereas these fellows are trying to convince and so readily divulge one curious fact after another, all of which is far more compelling than more romantic but less informative explanations. In any case, the book is proving an informative and interesting account of the 'science of transformation' held sacred by the ancient Egyptians. J.A. West addresses a few areas in this book. First, he summarizes and restates a number of Schwaller's key findings with the intent of making them more accessible to readers reluctant to follow Schwaller's denser descriptions. And second, West's updated the book with new evidence that's emerged since the first publishing and which continues to build the case for a much earlier construction date for the Sphinx. As this is largely a restating of Schwaller's work, there is not much in the way of new information, excepting the data specific to J.A. West's more recent work with the Sphinx. But until I can retire and devote my brain to a reading of The Temple of Man', this book, together with Sacred Science and The Temple in Man, combine to provide a good introduction to many of the pivotal discoveries that drove Schwaller and others to continue exploring the origination and spiritual wisdoms of ancient Egypt. After bookmarking the rich scientific and spiritual content I found on SAND, my search next brought me to a collection of films and books all having to do with ancient Egypt. Looking back, I’m not entirely sure how this happened; perhaps it had to do with running into Graham Hancock’s banned TED talk about exploring altered states of consciousness with psychotropic plants. Rarely does Graham discuss these topics without looping in a connection to his other passion, ancient wisdom traditions. And no wonder – as the films below show, some astonishing recent discoveries by Hancock, John Anthony West, Robert Bauval and Robert Schoch and others continue to add significant weight to their arguments that 1) the ancient Egyptian civilization began thousands of years earlier than previously thought, perhaps guided by an even older advanced civilization and 2) the Egyptian people had a far more advanced understanding of various technologies, sciences and spiritual philosophies than expected for a Bronze Age civilization, perhaps as an result of contact with this much older and more advanced civilization – or it’s survivors. Pretty eyebrow raising stuff, eh? Currently, history classes teach us that the Great Pyramid and the Sphinx were built around the same time, somewhere between 2000-2500 BCE, making these structures between 4,000 and 5,000 thousand years old today. But comments by Egyptologist R.A. Schwaller de Lubicz in the mid-50s, in which he noted what looked like water damage to the Sphinx enclosure, caught the attention of author and amateur Egyptologist John Anthony West, who decided to continue investigating the erosion. After many years of study, J.A. West concluded that most of the damage was indeed due to heavy and prolonged rains. Based on known geological changes in the region, these findings would indicate the Sphinx was built much earlier – 2,000 to 5,000 years earlier! If true, this revision in the Sphinx’s timeline, along with similar evidence emerging from other monolithic sites, could end up rewriting a large part of our story about how modern human civilization evolved. J.A. West’s research also led him – and a growing number of others – to reject the common explanation of the Great Pyramid as a tomb, citing both the fact that no mummies were ever found in the pyramid and the stark structural and decorative differences between the Great Pyramid and other known tombs. I’ll admit that while in the midst of my (figurative) trip through the exotic locales and stories of ancient Egypt, a part of me recognized the oddity of entertaining ideas about lost civilizations and 26,000 year time cycles. Then I would remember that, for 50+ years and until just a few months ago, I had been living with a wildly inaccurate understanding of my own true nature. Yet here was an ancient civilization which, as stated by Hancock and others, appeared to have developed sophisticated philosophies about the nature of reality and human consciousness. This knowledge, kept secret and passed down through the Egyptian mystery schools, was said to provide the initiate with the experience of ‘death before dying’, which liberated the student from his fear of death and so brought a richer and more peaceful life. 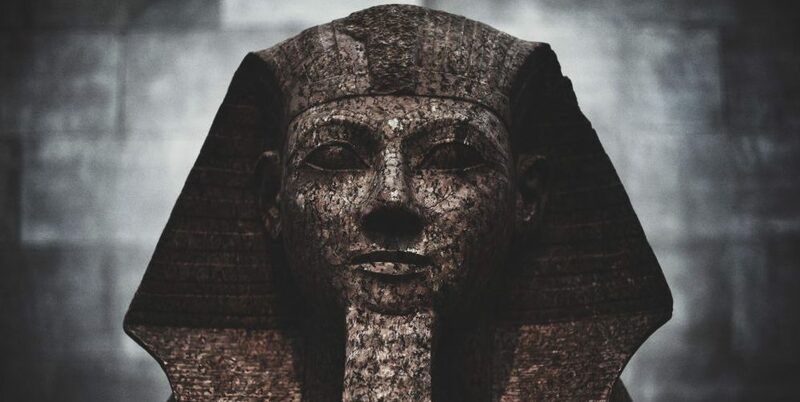 But much of this knowledge was also hidden in plain sight, in the deeper layers beneath the stories, symbols and structures of ancient Egypt, layers which would only be revealed to those who had been initiated – and to a few dedicated scholars. But here’s the thing with choosing an especially esoteric wisdom tradition as the foundation for exploring your own consciousness – there aren’t a lot of experts at hand to help you get to the key content. For example, I might hear Eckhart Tolle or Rupert Spira quote passages from the Bible, the Tao Te Ching or even the Quran but I can’t recall anyone leaning on a phrase from the Saggara pyramid texts during a teaching about the egoic self – know what I mean? Not that I thought this was a problem, at least not at first. My approach was more, “just give me the Egyptian texts and I’ll figure it out myself!”. My thinking here – if you can call it that – was that by studying the ancient wisdom (more or less) directly, I would be accessing a version of a universal truth that wasn’t wrapped in as much opinion, dogma and tradition as is found with more mainstream traditions and religions. So I dived right into the deep end (typical) and bought the definitive book on the topic of ancient Egyptian wisdom, The Temple of Man, Rene Adolphe Schwaller de Lubicz’s 1000+ page tome on the Amun-Mut-Knonsu temple at Luxor. It was after reading the 29-page Introduction – which generated two pages of notes and four bookmarks – that I fully grasped the size of my new undertaking; if my path to explore altered states of consciousness was to be based on the wisdom of ancient Egypt, I’d first have to learn a great deal about the context for this wisdom – the symbols, language, science and metaphysical concepts. And it suddenly seemed like a basic understanding of my own consciousness was very far away indeed. Between coming face-to-face with this massive learning curve and the realization that diving into a specific tradition was not a good place for me to start, I soon decided to set aside the specific topic of ancient Egypt in favor of returning to the larger topic of exploring the nature of consciousness. And yet I continue to tune in occasionally to the ongoing debate Hancock, West, Schoch and others are fueling about human civilization’s evolution. Recent discoveries at Gobekli Tepe, including a stone tablet that describes large comet fragments hitting the planet about 11,000 years ago(! ), are lending yet more support to Hancock’s theories, which he discusses in this short interview. In this Emmy-award winning documentary, we are introduced to the work of John Anthony West, author and amateur Egyptologist who, in following up on Schwaller de Lubicz’s earlier observations of possible water damage to the Sphinx, uncovered the evidence that has raised serious doubts about the accepted 4,500-year age of the Sphinx. Using information from erosion patterns, Egyptian texts, seismic records, forensic science, and modern engineers, West and geologist Dr. Robert Schoch make a very meticulous and coherent case that the Sphinx is between 7,000 (Schoch) and 10,000 (West) years old and, given this information, may have been built by an earlier civilization. If the film is a bit dated (and narrated by Charlton Heston! who gets to read from the Bible in his very best Moses voice), it’s still well done and very well researched. Also to its credit, the film gives a fair amount of time to the critics of these new theories. But what was most compelling for me was how effectively the evidence stacks up. I’ve often heard it said that exceptional ideas require exceptional evidence and I’d say West et al have cleared the bar. I have to imagine that this 5-part series is the result of the flurry created by J.A. West’s film of sixteen years earlier. Dr. Carmen Boulter’s work is the basis for this extensive review of ancient Egyptian culture, beginning with a look at the variety of pyramids in six areas along the Nile. The length of the series allows close examination of the kinds of details rarely seen in other films (though a bit of time does get lost in some over-dramatization) so even if the questions raised throughout the films aren’t of interest, anyone wanting to learn about this remarkable culture will find this an informative series. But the questions raised during the films are the point and they’re clearly meant to build on the earlier work of West, Bauval and others in re-assessing the age of the pyramids, the age of the ancient Egyptian culture, the state of their technology and the possible existence of an even earlier advanced civilization. The latter part of the series takes a quick look into the Egyptian practices concerning altered states of consciousness, including their apparent focus on the importance of the hormonal glands and related energy fields. Graham Hancock makes an appearance, reviewing specific carvings that record Egyptian’s use of psychotropic plants – the blue lotus and mandrake root – to access altered states of awareness during the rituals practiced by initiates (interesting to note how the Egyptians restricted access to this knowledge). The series concludes by suggesting that the Mayan and Hindu calendars, with their cyclical time structures, provide clues about an earlier Golden Age that may have produced the advanced civilization that seeded ancient Egypt and other sites with the advanced knowledge needed to build monolithic structures, like the Sphinx, so many thousands of years ago. A note – if the Vedic time cycle is new to you as well, this series includes a nice introduction to this 26,000-year cycle. J. A. West’s other significant contribution to the understanding of Egypt is his support for the work of R., A. Schwaller de Lubicz, Egyptologist and author of The Temple of Man, first published in 1957 and widely regarded as an authoritative source on the origination and meaning of Egyptian symbols. Because Schwaller wrote in French, his work wasn’t widely available to western audiences until the book’s translation in 1998. West, after learning French in order to read Schwaller’s work, helped educate western audiences about this work – as well as his own contributions – through his lectures and books on the topic. In this lecture, J. A. West introduces some of the basic concepts one must be aware of to correctly interpret the symbols of ancient Egypt. The sound quality and picture quality here isn’t great but it’s an interesting review of some of the familiar hieroglyph figures – the jackal, the beetle, and ibis. I suggest fast forwarding to the 17 min. mark to avoid West’s meandering intro comments. In this lecture, Graham Hancock presents some of the interesting details behind his research for Magicians of the Gods, his recent book in which he lays out the new evidence supporting his theories of an antediluvian civilization that seeded the continents with ancient wisdom just after the last ice age. It’s a good primer on the content of the book but also, given Graham’s engaging style, an interesting set of stories on ancient Egypt and the latest archeological discoveries coming from sites in Gobekli Tepe (Turkey), Baalbek (Lebanon) and other monolithic digs. In his typically informative but entertaining manner, Graham presents the evidence for the existence of an ancient advanced civilization, starting with the flood stories that populate many wisdom traditions. Graham continues with reviews of ancient maps, Egyptian texts, geological evidence, and monolithic structures, including the Great Pyramid. And this last part might be the best part: Graham has been able to spend considerable time inside the Great Pyramid and he shares some engrossing details about each chamber, shaft and structure. Graham’s deep expertise and passion for the topic combine to make this one of his better lectures on this topic. In this recent lecture, Robert Bauval attempts to summarize decades of his observations, stories and wonder about the monolithic structures of ancient Egypt. His engineering background is on full display as he marvels at the incredible precision and sheer size of the Giza pyramids and other buildings; we’re again treated to a number of the small stories and observations that can only come from people who’ve spent many days and weeks in these places. Bauval briefly reviews his previous work connecting the position of the pyramids to star formations before moving on to describe the rituals ancient Egyptians used for exploring states of consciousness. Bauval cites these rituals as the source of the insights needed to build with stones of such enormous sizes, stones we’d have problems even moving today, never mind building with them. Bauval concludes with reviewing the significance of the Nabta Playa site – and it all becomes a bit hurried from there. Bauval clearly enjoys the topic a bit too much to stay on schedule but it’s still an interesting primer if you’re unfamiliar with his work. And another tip – his lengthy intro ends at about the 12 min. mark. In this 18-minute lecture, Hancock summarizes the growing body of evidence (as of mid-2016) supporting his view that a comet strike of around 12,000 years ago created an environmental catastrophe that lead to the disappearance of an earlier advanced civilization. As usual, Graham uses his time to make his fact-filled case clearly and persuasively before concluding with a review of the compelling new discoveries coming from Gobekli Tepe, a monolithic site in Turkey confirmed to be at least 12,800 years old. This site, which appears to have been intentionally buried thousands of years ago, has just begun to be fully excavated and it seems there’s little doubt more discoveries will emerge that continue to beg the question – from where did civilizations of 13,000+ years ago learn to build such advanced structures? TLC created this 50-min documentary in which the three main boat-rockers – Hancock, West and Bauval – present their collective case that numerous structures and texts of the ancient Egyptians demonstrate a level of technology that was well beyond the abilities of the Bronze Age culture we’ve assumed them to be. This documentary, which uses much of the same key footage seen in the first two films, does a nice job of presenting the main themes in the related work of these three men; work that, years later, continues to reshape the historical timeline of ancient Egypt – and perhaps that of human civilization as well. Graham Hancock's teachings seem to center around two broad topics: exploration of consciousness and the interpretation of spiritual wisdoms left behind by ancient cultures. The two areas overlap in Graham's books, lectures and films in which he presents his entertaining and well-reasoned case that early civilizations in Egypt, South America and other areas routinely used psychotropic plants to explore consciousness and these practices played a significant role in the development of their arts, culture and sciences. What's been helpful: The first video from Graham I encountered was The War on Consciousness BANNED TED TALK ... You can see why it caught my attention. What hooked me in his presentation was learning that the use of psychotropic plants to explore the nature of consciousness has a long and rich history. I was immediately intrigued and ended up side-tracking into the wisdoms of ancient Egypt at his behest, largely because I thought I might have to go back that far to get clear of the influences organized religion has had on current spiritual teachings. In the last several years, Graham's included in his lectures theories about a meteor strike that ended the last ice age and generated the massive floods spoken of in many spiritual texts, including the Bible. For several years, Graham's been working with geologists, archeologists and others to coalesce the physical evidence behind this theory, which he writes about it in this post: Why Science Should Cherish Its Rebels. That I've driven many times through the eastern Washington scab lands that bear some of the scars of this massive flood brought the discussion interestingly close to home. This summer, Graham suffered a severe acute illness but has fortunately bounced back and is writing a new book. From his 8/22/17 blog post, it sounds like he's ready to dive back into the fray: ..."My journey to the gates of death in the past week appears, however, to have cleared the energetic miasma by which I was briefly entrapped and has renewed my strength for the struggle ahead. We have been grievously misled about our past as a species and plunged into a state of sleepy amnesia. It is desperately important that we awaken if the human family is to survive on this beautiful garden of a planet, and if we are to honour as we should the gifts of life, consciousness, joy and the opportunity to learn and to love, to grow and to develop, that the universe so generously and unhesitatingly bestows upon us."